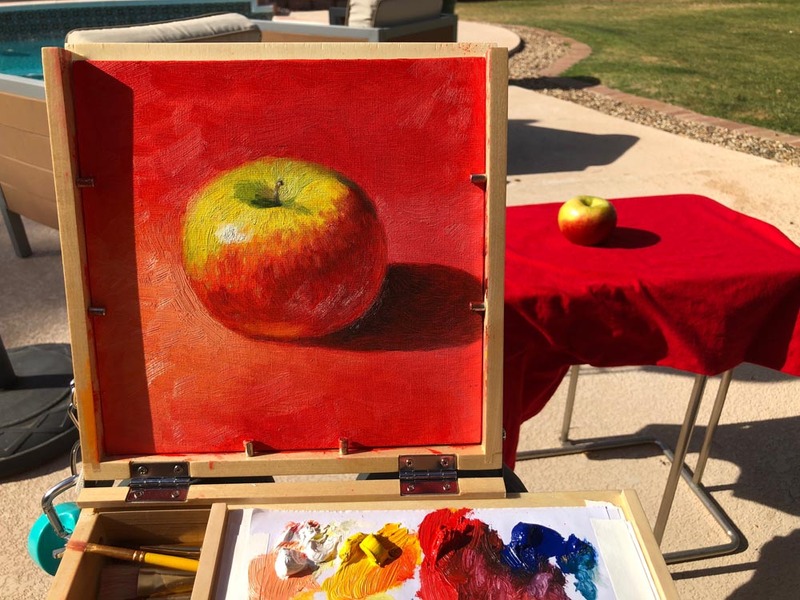 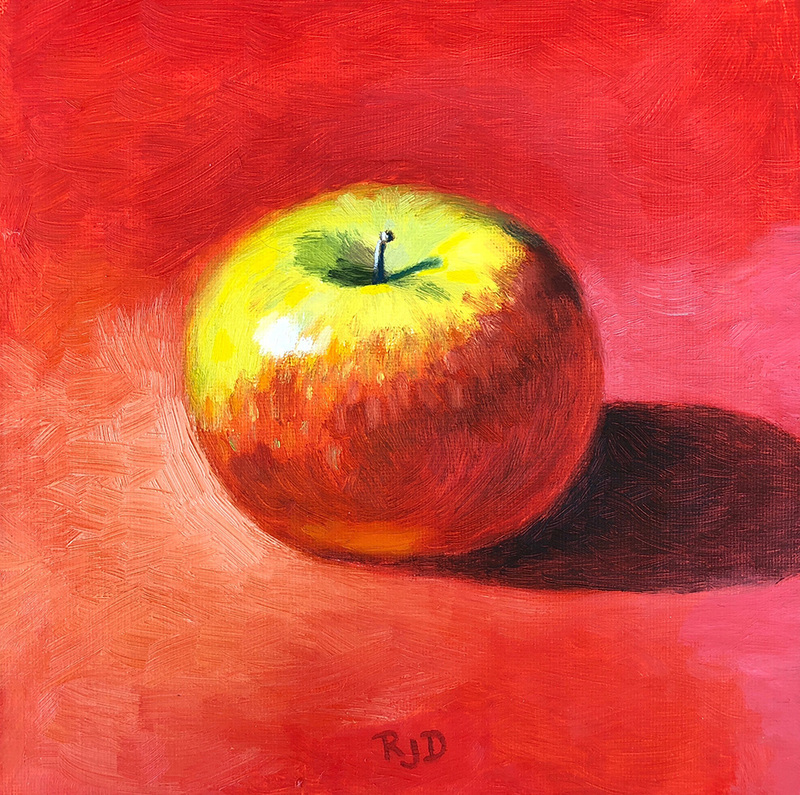 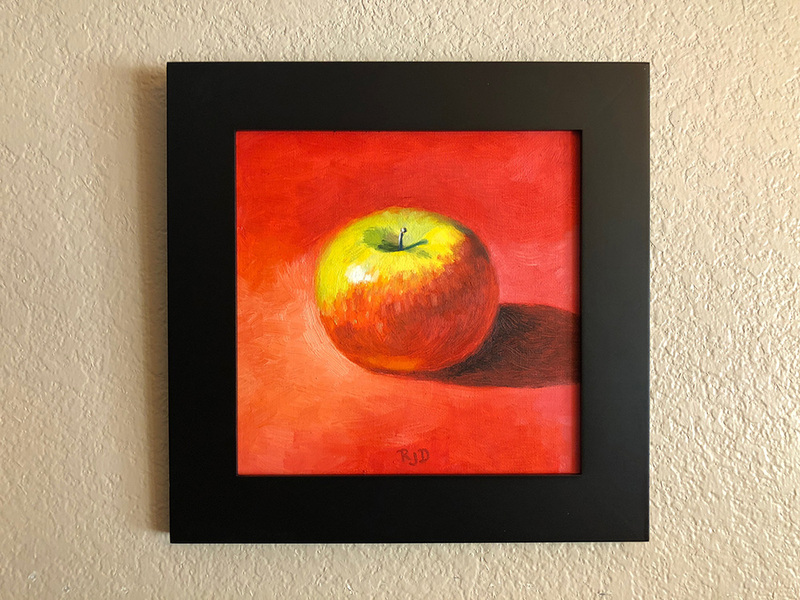 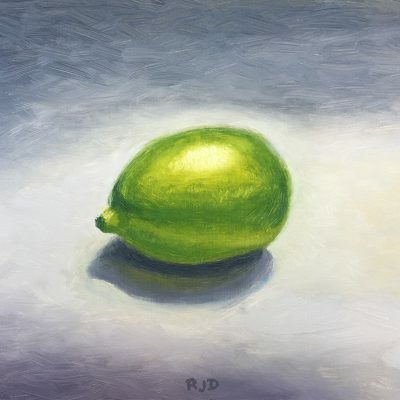 This is an original oil painting of a simple still life — a single Fuji apple — painted outside in natural light. 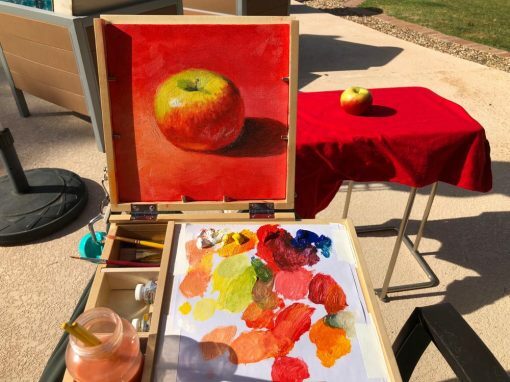 I was trying out a new pochade box and decided to do a quick, simple painting outside, just off my back porch. 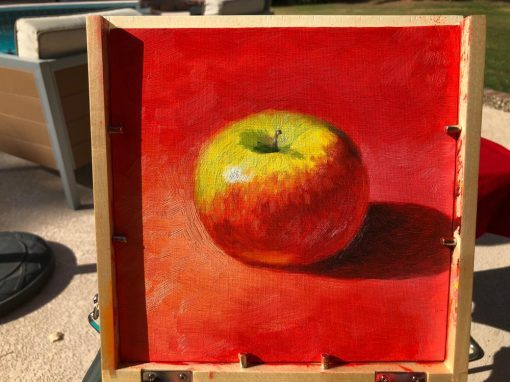 When I was finished, I was happy with both box and painting! 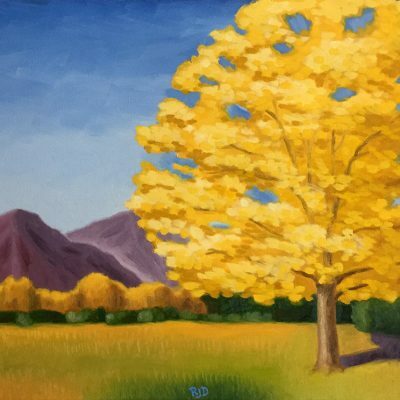 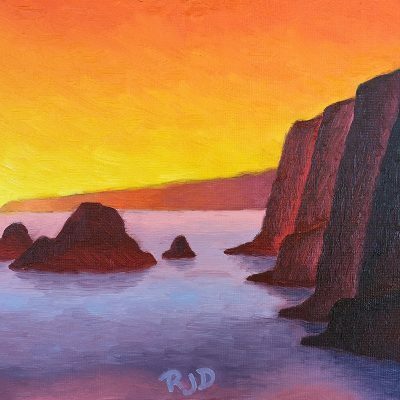 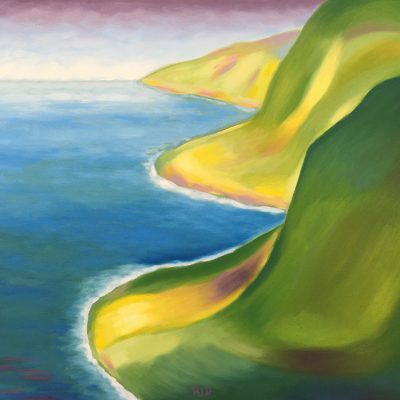 This oil painting is painted on an 8×8 canvas panel, sold framed as shown and shipped USPS Priority Mail.